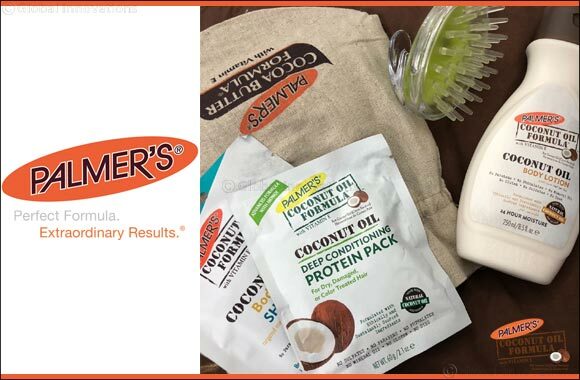 Dubai, UAE, July 09, 2018: Palmer's has expanded on its vast knowledge and heritage, developing brand ranges such as Skin Success, Shea Butter Formula, Olive Butter Formula, Coconut Oil Formula, Olive Oil Formula and Hair Success. This unique heritage and commitment to quality has stood the test of time, making Palmer's a trusted household name, used by families for generations. Body Firming Sheet Mask delivers targeted toning ingredients to problem areas such as thighs, hips stomach, upper arm or buttocks in a concentrated sheet mask sized to fit body's contours and curves. Sheet mask delivery system allows for optimal penetration of ingredients and excess product can be massaged into targeted area for hydration and firming.